All the hard work and careful planning you've done to build your clients' portfolios to protect their financial future is at risk. In this ever-changing economy, life insurance is one of the few ways your clients can get financial guarantees with the protection they deserve. When cultivating your clients' well balanced portfolios, a life insurance policy may not be the first thing that comes to mind. However, it's never too late to add such a valuable benefit to their portfolio. Like many other things in life - car, jewelry and homes - you can ensure your clients' investment portfolios with a life insurance policy. Start thinking of life insurance as a protection plan for your clients' savings and future. As a conscientious advisor you owe it to your clients to have the conversation. Outline the benefits of life insurance, highlighting the protection it offers to a surviving spouse and/or children for when the unthinkable happens. Stability - A guaranteed benefit that will not fluctuate in a market downturn, like other investments. Tax Advantages - Life insurance policies with cash value options allow funds to grow tax-free. Your client can withdraw the cash value, to basis, tax-free and cash values exceeding the tax basis can be borrowed from the policy income tax-free as long as the policy stays inforce. Distribution - Life insurance allows for your client to equally distribute cash value to children and/or heirs. Dependable Payouts - Some policies give the option to earn cash value according to a schedule. Death Benefit - Liquidity to help take care of expenses and debts without withdrawing from other portfolio assets. Need another reason? Peace of Mind. Adding life insurance to a well balanced portfolio can ease a common concern in your clients everyday life of running out of money, especially for those preparing for or in retirement. 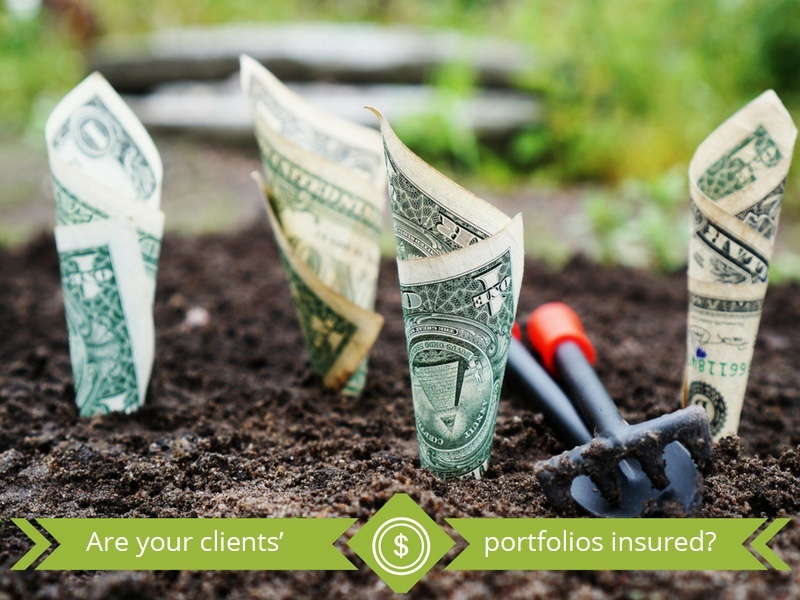 Diversifying your clients' investments and including a life insurance policy will help provide a solid foundation to their financial portfolio. How do you start the conversation of life insurance to your clients?